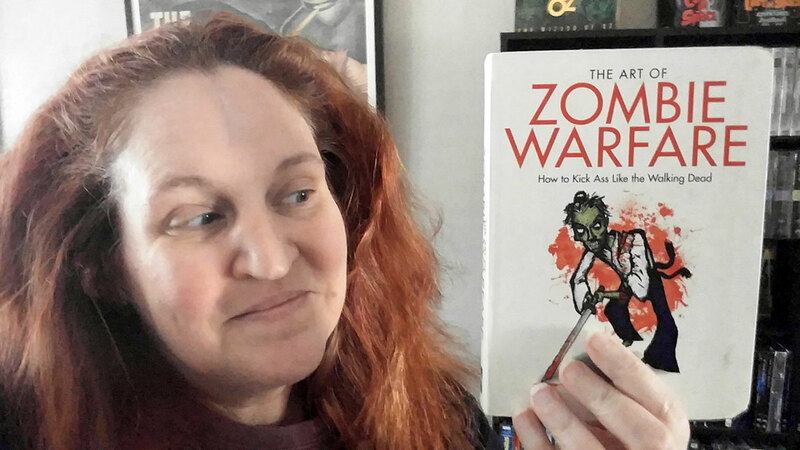 A tongue-in-cheek guide to using zombie warfare tactics in your own life, this book is part humor part practical advice. Who knew zombies could be so educational? Available on Amazon in paperback, audiobook and Kindle editions. You can find it at other online and offline booksellers, as well. Zombies, according to author Scott Kenemore, have tactical combat advantages that you can learn to adopt in your own life, business and the occasions when you are fighting a battle. The book is broken into two sections: How to Fight Like a Zombie and How to Lead Like a Zombie. You’ll be well-versed in zombie warfare when you’ve finished reading this book. I laughed out loud several times while reading this book. It was a hoot! But what is really cool is even while Kenemore is being tongue-in-cheek, he’s also imparting some good advice. I believe the underlying message of this book is to be unconventional because that will always throw off the enemy! Although the book is small enough to fit in my purse so I can easily read it on the go, it is wider than your traditional mass market, which made it a tiny bit challenging to hold. But, frankly, if the message of the book is “be unconventional” then making it a conventional book size would be undermining its message. If you like zombie books and enjoy a humorous take on the reanimated undead, then you’ll probably get as much of a kick out of this book — if not more — than I did!